Horses can be infected with the Zika and Dengue viruses, researchers who carried out a study in the South Pacific report. A significant proportion of horses in New Caledonia and French Polynesia tested in the research were found to have mounted an immune response against the viruses. Blood from 163 horses in New Caledonia was tested. Seven of those had mounted an immune response to Zika, and 130 had been tested from French Polynesia, 20 of which had delivered a positive result. The study delivered similar results in respect of the dengue virus, with 6.1% of the horses in New Caledonia showing evidence of mounting an immune response, and 7.7% in French Polynesia. “This seroprevalence study in the horse population shows that horses can be infected with Dengue and Zika viruses and that these infections lead to seroconversions in horses,” reported Cécile Beck and her colleagues, writing in the open-access journal PLOS Pathogens. The consequences of these infections in horses and their role in the incidence, distribution, and control of these diseases deserve further investigation, they wrote. New Caledonia and French Polynesia are areas in which insect-borne viruses circulate extensively. The 13-strong study team conducted their serological survey in the two island groups to investigate the seroprevalence among horses of flaviviruses – the family of viruses which includes West Nile virus, Dengue virus, tick-borne encephalitis virus, yellow fever virus, Zika virus and several others. The researchers used three methods to test the sera. Samples were screened for flaviviruses using a competitive enzyme-linked immunosorbent assay (cELISA). The positive samples were then confirmed using a flavivirus-specific microsphere immunoassay (MIA) and seroneutralization tests. In all, 16.6% of the horses in New Caledonia and 30.8% in French Polynesia were positive for flaviviruses using the cELISA test. However, the MIA technique, which targets only flaviviruses that cause neurological problems in humans and horses – that is, West Nile virus, Japanese encephalitis virus and tick-borne encephalitis virus [TBEV]) – showed negative results for more than 85% of the cELISA-positive animals. Seroprevalence of the Japanese encephalitis and West Nile flaviviruses among the 293 samples from both island groups were comparatively much lower (less than 2%). The authors said a series of epidemics caused by the four serotypes of Dengue virus had been documented in the Pacific island during the last 50 years. Zika virus first occurred in the Yap Islands (the Federated States of Micronesia) in 2007. It was not present in French Polynesia until October 2013 when the virus emerged in French Polynesia and caused a large outbreak among people. It was first seen in New Caledonia in 2014 and spread extensively. Zika generally causes few or only mild symptoms, similar to a mild case of Dengue fever. Symptoms can include fever, red eyes, joint pain, headache, and a rash. The greatest danger is that Zika can spread from a pregnant woman to her baby, resulting in severe brain malformations and other birth defects. 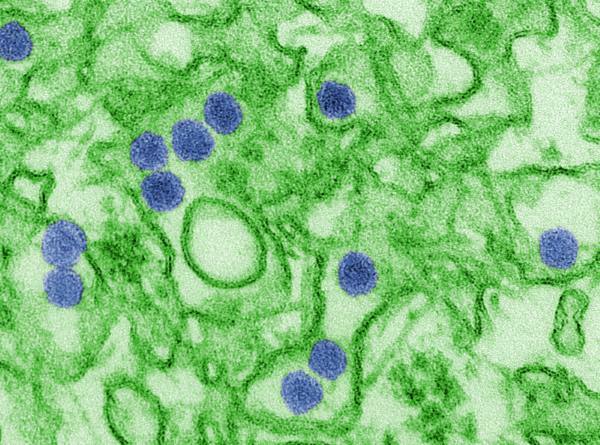 Discussing their findings, the researchers said the presence of specific antibodies against the Dengue and Zika viruses in horse populations suggests that the Aedes mosquitoes responsible for its spread feed on a range of mammals. They said that while Dengue virus and Zika virus seropositivity rates are much higher among humans than horses in the region at the center of the study, the findings show the need to learn more about the role of domestic animals in the disease cycle of both viruses. The full study team comprised Cécile Beck, Isabelle Leparc-Goffart, Denise Desoutter, Estelle Debergé, Hervé Bichet, Steeve Lowenski, Marine Dumarest, Gaelle Gonzalez, Camille Migné, Jessica Vanhomwegen, Stéphan Zientara, Benoit Durand, and Sylvie Lecollinet, from a range of institutions in France and the South Pacific.